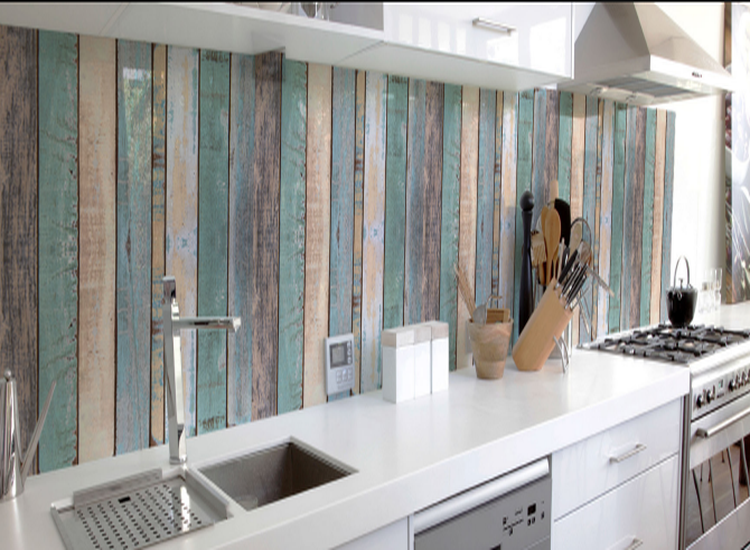 Printed splashbacks are relatively new, compared to the original back painted splashbacks, due to recent advances in printing technology. 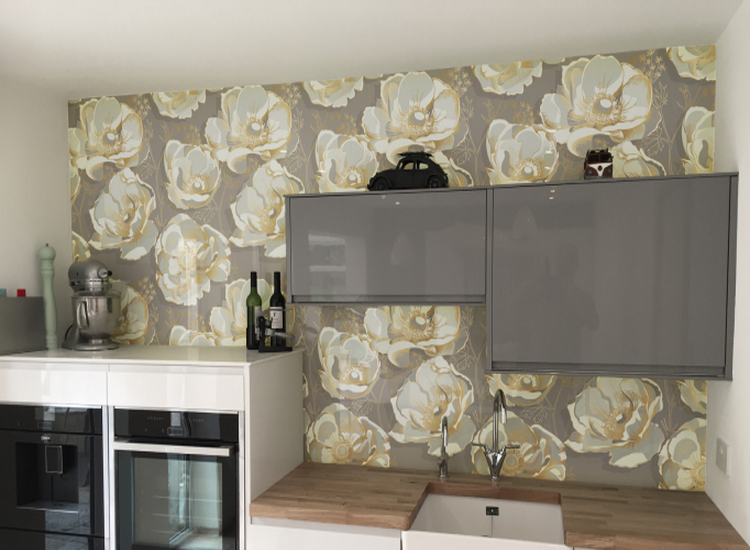 This page provides you with some printed ideas that are standard from our suppliers, but at the bottom of the page is a catalogue with designs you can consider when choosing your printed splashback. One thing to bear in mind, provided the intended printed image quality is high enough, there really is no limit to your choice of design! Liquid Mirror Splashbacks are available in a variety of colours and multiple shades. 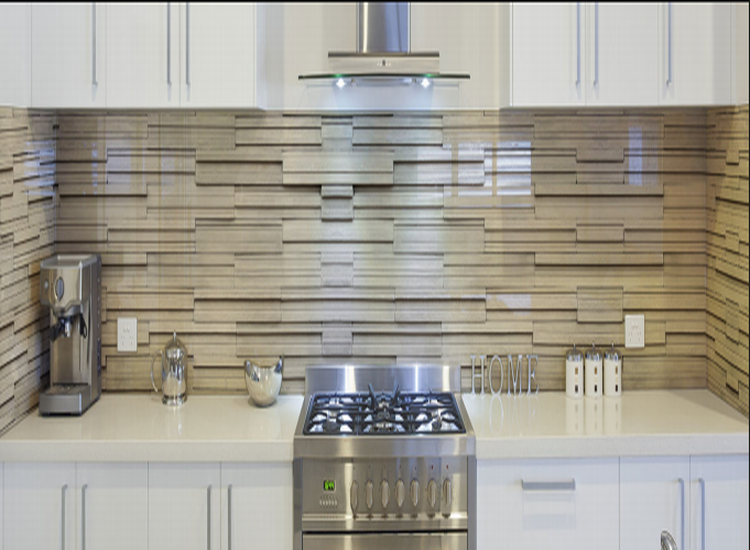 As with all Splashbacks the glass can be cut to size and shape is toughened to resist up to 400°C. Liquid Paint Stained Glass Splashback is a sororal project of our Liquid Mirror seen the point above, but in this example, instead of water-like substance, we inject paint in the predefined order. 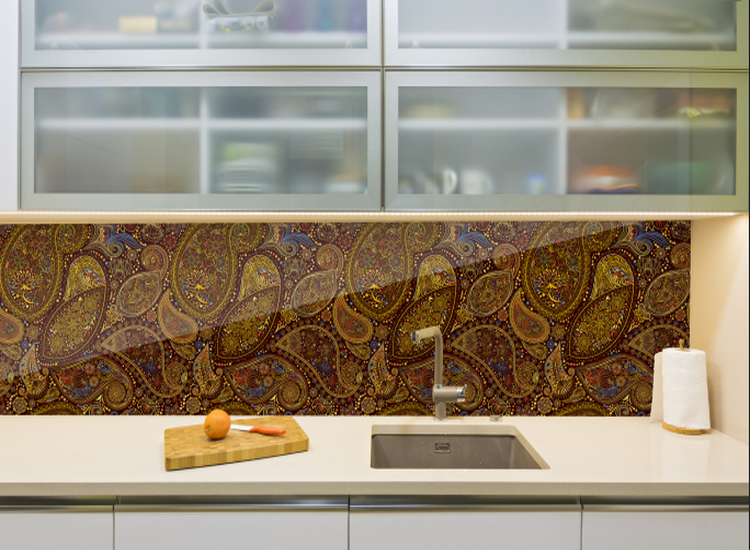 Damascus-like splashbacks that overtake the whole wall in the kitchen has been spotted on the multiple surface design show stands. 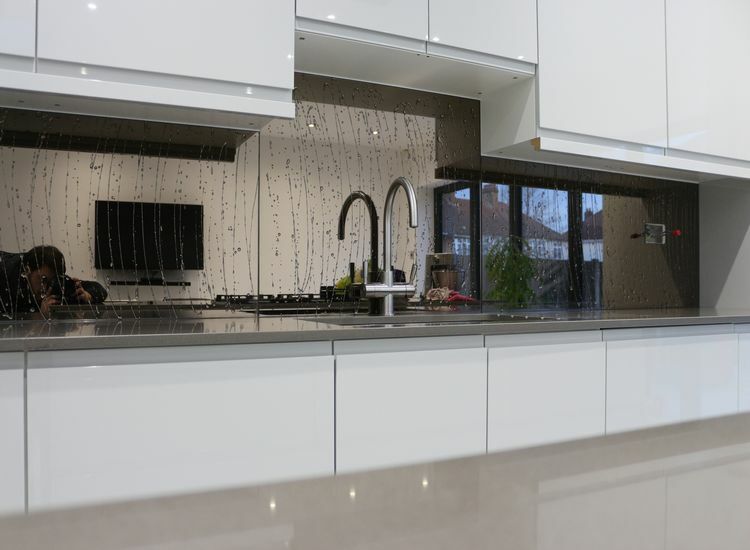 It appears that year by year, splashbacks will require even more space to look trendy. Wooden splashbacks are appreciated but not very practical to maintain if you actually cook in your kitchen. But now this can be done in printed glass! The most suitable style is rustic but will fit in a colourful space as well. South East Asian style dominated other home-decor categories for decades, but now it is finally appreciated by the most influential people in a tiling industry. 3D Illusion brick stone effect is probably the best looking 3D design idea that slowly gains crowd’s approval and again now available in glass which is so easy to clean! 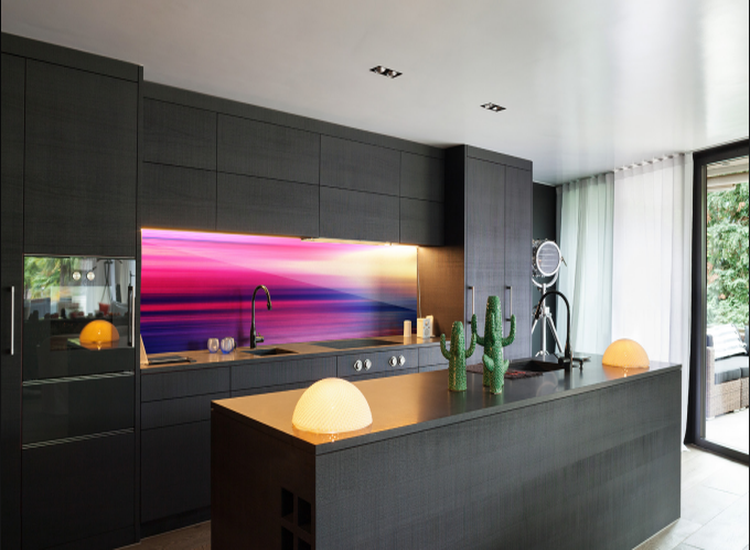 Kinetic designs look astonishing for dark-themed kitchens. Creates majestic combinations with backlit worktops. 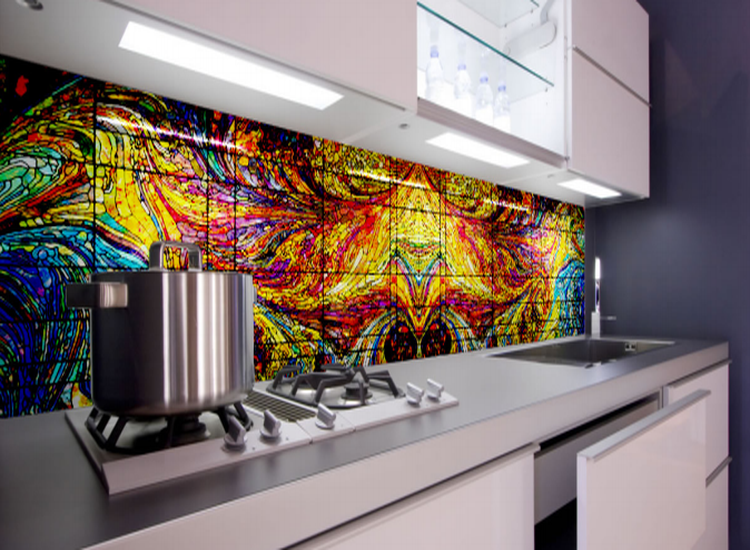 Where Splashbacks are concerned, there really are no limits to the design, shape and associated features, such as LED lighting to enhance the Splashback design, why not contact us or visit our workshop to discuss your needs? 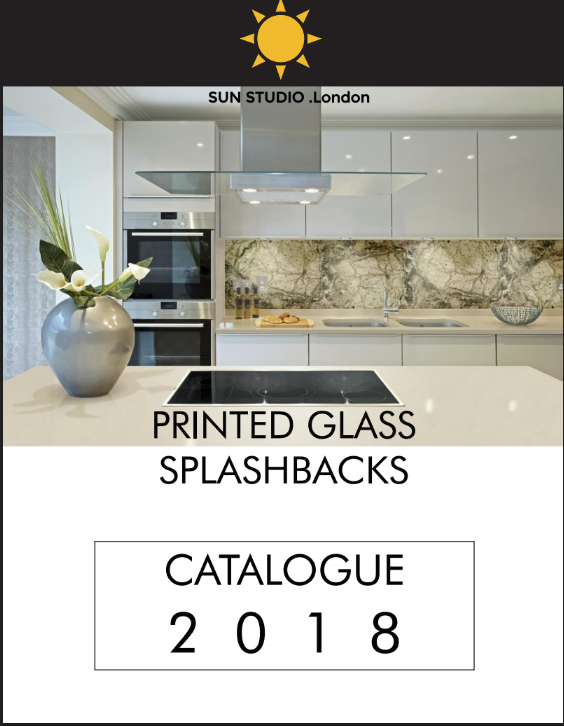 The majoprity of our printed designs are sourced from Sun Studio, why not view their Catalogue by clicking here or click the image below for more ideas?